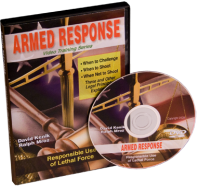 Responsible Use of Lethal Force presents a thorough and detailed outline of the appropriate use of all levels of force, including deadly force, and the defensive use of firearms. 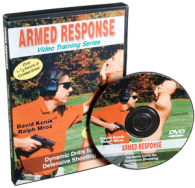 Learn when to draw and challenge, when to shoot and when not to shoot in this vital training program. Every gun owner needs this knowledge! SAVE $20 with the purchase of a 3-DVD set! Sold separately for $104.85, the set costs just $84.84! Over 6.5 hours of vital training! 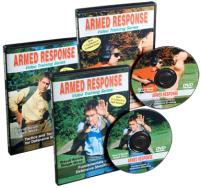 with: Dynamic Drills for Defensive Shooting, Fundamentals of Defensive Shooting, Responsible Use of Lethal Force, Tactics and Techniques for Defensive Shooting. 3 DVD Set.